Legislation to overhaul Michigan’s juvenile lifer law would not apply to inmates already sentenced as teenagers to life without parole. The bills were adopted today by the state Senate Judiciary Committee. The legislation is required because the U.S. Supreme Court struck down automatic life-without-parole sentences for juveniles. James Sorenson lost his son in 2007 to a teenaged murderer. He says any rewrite of the law should put the interests of the victims’ families ahead of teenagers who participated in a murder. LANSING, Mich. (AP) - Michigan lawmakers attempting to respond to a ruling that mandatory life-without-parole sentences for juveniles are unconstitutional have hit a stalemate that threatens to derail any progress. They can't agree on whether last year's Supreme Court decision last year applies retroactively to the roughly 360 Michigan inmates who were under 18 when they committed crimes. Families of murder victims were among those who packed a legislative hearing room today. The hearing was on how to fix Michigan’s juvenile lifer law to comply with a U.S. Supreme Court ruling. The court held that automatic life without parole for juveniles is unconstitutional. 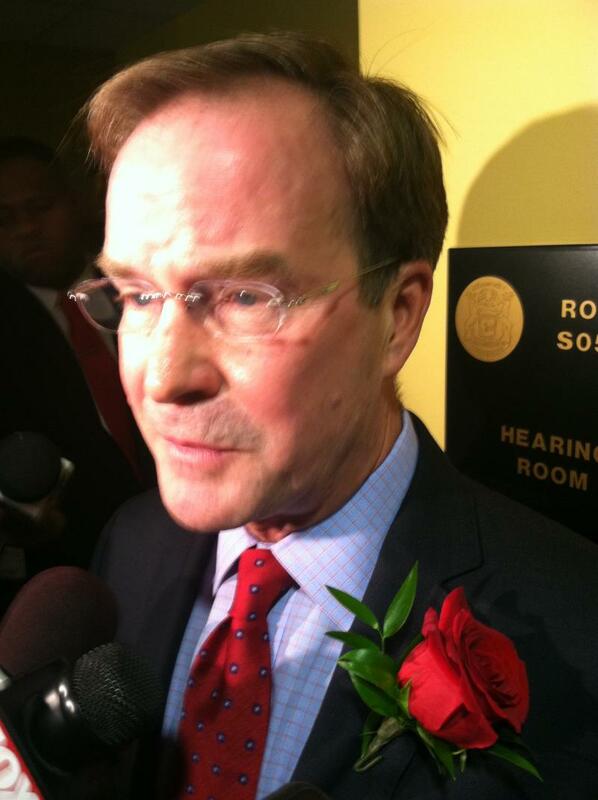 Michigan Attorney General Bill Schuette showed up for the hearing. He says the law should only apply to future cases, and not to the roughly 350 inmates already sentenced as juveniles to life without parole for first degree murder. A federal judge says the U.S. Supreme Court ruling that struck down automatic life sentences without parole applies to 363 inmates in Michigan. The judge says the ruling applies to every inmate sentenced as a child and entitles them to re-sentencing hearings. Attorney General Bill Schuette wants the ruling applied to only five Michigan inmates who challenged their cases in federal court, and to future cases. The American Civil Liberties Union disagrees and says the ruling applies to everyone affected. Rick Pluta has more. “New University of Michigan research has found an association between autism and inducing or augmenting labor during childbirth. Researchers looked at the birth records of more than 600 thousand children and compared them to the children’s school records. They found a 35 percent increased chance of autism in boys whose mothers’ had their labor induced or augmented. Marie Lynn Miranda, a Pediatrics professor at U of M, says the data is worth further study, but it does not draw a direct link between inducing labor and autism,” Michigan Radio’s Steve Carmody reports. “Officials in Lansing want to end their community's 'sister cities' relationship with the Russian city of St. Petersburg due to that country's anti-gay policies. The Lansing State Journal and MLive.com report Lansing City Council voted unanimously Monday calling for end to the relationship. A new Russian law is aimed at 'propaganda of nontraditional sexual relations among minors.' It imposes fines for organizations, plus stiffer penalties for propaganda online or in the media,” according to the Associated Press. 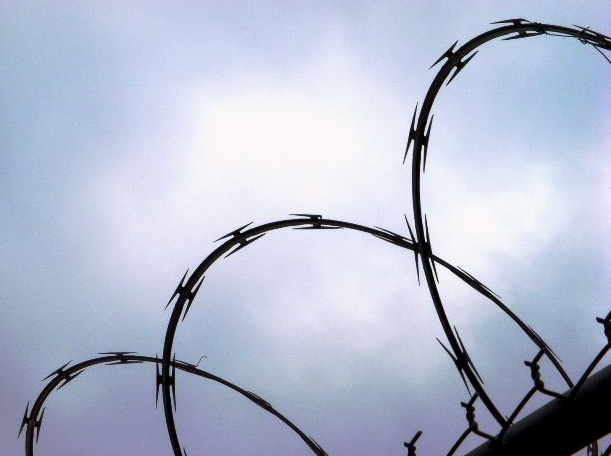 A federal judge says 363 inmates in Michigan prisons sentenced to life without parole as juveniles should get parole hearings. Attorney General Bill Schuette has been trying to limit the scope of the ruling to five inmates who challenged their sentences and to all future cases. He says families of murder victims deserved the certainty of knowing those sentences would stand. Michigan is one of 25 states that allow convicted teens, under the age of 18, to be imprisoned with adults. Attorney Deborah LaBelle is a juvenile justice advocate with the ACLU. She estimates nearly 200,000 children have been abused in adult prisons. LaBelle recently returned from Washington, D.C. where the Inter-American Commission on Human Rights conducted a hearing on this issue with representatives from the U.S. State Department. The hearing focused on the physical, sexual, and psychological abuse experienced by children when housed with adults in prisons. "In addition to the physical and psychological harm that's going on, putting children in the adult facilitates also results in them losing the very two things that makes them children: education and contact with their family and parents," LaBelle said in this interview with Jennifer White. There’s a difference of opinion between Michigan Attorney General Bill Schuette and the American Civil Liberties Union on how prosecutors should handle a U.S. Supreme Court decision. The U.S. Supreme Court ruling struck down sentences of mandatory life without parole for juveniles. Last month, a federal judge ruled that lifers sent to prison as juveniles are entitled to parole hearings. Attorney General Schuette then sent a letter to prosecutors that says a federal judge’s opinion is not binding on them. Schuette’s office did not return phone calls, but ACLU attorney Deborah LaBelle says the letter is out of bounds. She says the attorney general can appeal the decision, but he should not tell prosecutors to ignore it. “They may disagree with that ruling. That’s fine. I understand, but it’s the law right now,” said LaBelle. “Once a statute is unconstitutional, it can’t be enforced, and I would think the attorney general would know that, and so the parole board cannot deny jurisdiction to these youth,” she said. LaBelle says legal arguments are due March 1 on how the state should handle requests for parole hearings by juvenile lifers. 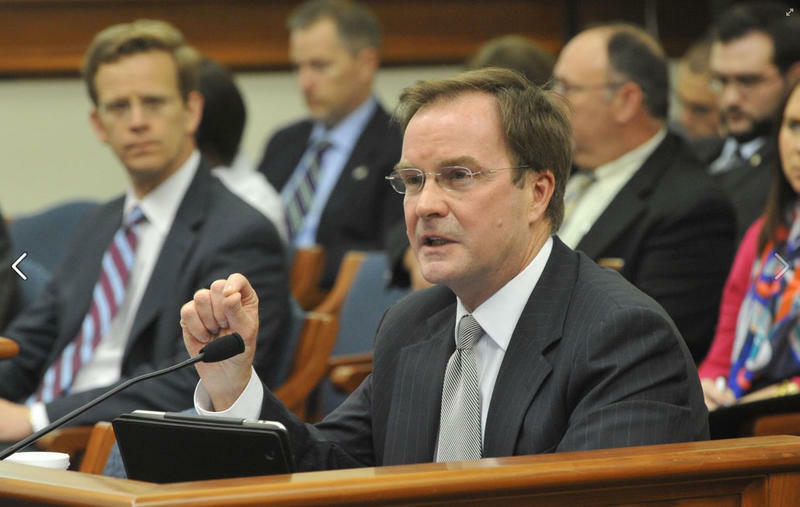 Schuette has opposed extending the reach of the decision to the more than 350 Michigan prisoners sentenced as juveniles to life without parole. He has said it’s not fair to force the families of murder victims to relive their tragedies. Judge John Corbett O'Meara says a 2012 U.S. Supreme Court decision striking down mandatory no-parole sentences applies retroactively to Michigan inmates already behind bars. 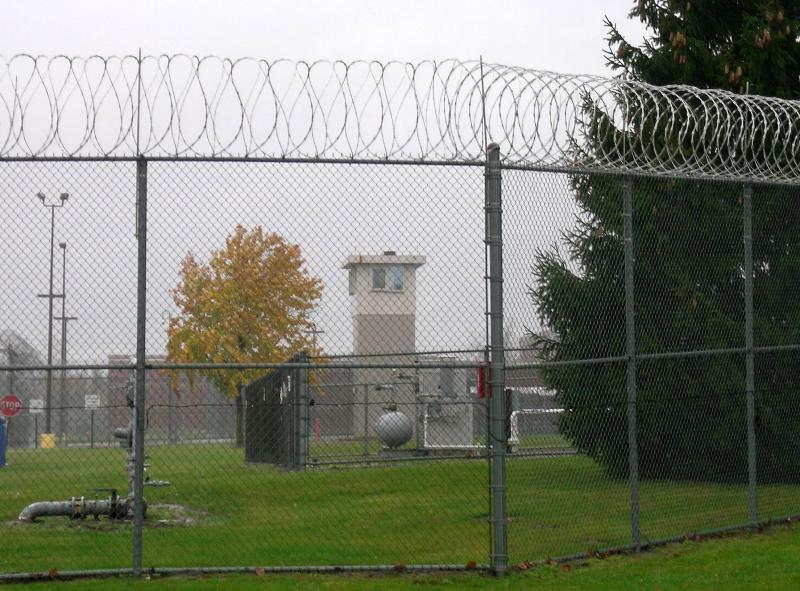 There are more than 350 inmates in Michigan prisons serving life without parole for crimes they committed as juveniles, and there's been a lot of debate about whether these inmate should get a shot at parole. The Detroit Free Press has the story of one of those prisoners this morning. ...life has never been simple for Jennifer Pruitt. Her 37 years have been punctuated by turmoil -- a tough upbringing, a life sentence for murder, repeated rapes in prison and glimmers of hope that quickly got dashed. ... a joint resolution introduced by Republican Sens. Randy Richardville, Roger Kahn and Bruce Caswell offers a simple starting point for discussions: A constitutional amendment to raise the state sales tax from 6 percent to 8 percent. As a trade-off for the increased sales tax, a related bill would eliminate the state's 19-cent-a-gallon gasoline tax. Such a tax increase would require voter approval. Other plans, such as increasing gas taxes or registration fees, are being considered as well. General Motors announced its consolidating some of its research and development operations and expanding its Global Powertrain Engineering Headquarters in Pontiac. Michigan Radio's Sarah Cwiek reports the company is expected to invest $200 million in the Pontiac facility. GM estimates the move will move about 400 jobs now in various facilities to Pontiac. The investment is part of a GM commitment to invest $1.5 billion in North American facilities across the state and the country. GM officials say employees will start transferring to Pontiac as soonas the middle this year, and the expansion will be completed in mid 2014. DETROIT (AP) - A federal judge says all Michigan inmates serving no-parole sentences for murder committed as juveniles are entitled to a chance at release. O'Meara's decision Wednesday trumps a ruling last fall by the Michigan appeals court, which said retroactivity would not apply for most. The Michigan Court of Appeals ruled that the U.S. Supreme Court decision striking down mandatory life sentences for juveniles convicted of murder does not apply retroactively. The case involved a resentencing request for Raymond Carp. In 2006, Carp was convicted of first-degree murder as a 16-year old. A group of state lawmakers say it is time for Michigan to change the way it sentences juveniles convicted of murder. This summer, the U.S. Supreme Court ruled it is unconstitutional to sentence juveniles to mandatory life sentences without the chance of parole. Bills in the state House would strike that type of sentence from state law. An important question is whether the ruling applies to people already serving mandatory life sentences. Democratic state Representative Mark Meadows said it does. “If it’s a violation of the Constitution to sentence individuals in this manner, then it was unconstitutional prior to that time too,” said Meadows. Sponsors of the legislation say they will push to apply the ruling retroactively. But they say they are willing to pass bills that only apply it to new cases. State Attorney General Bill Schuette says re-sentencing convicted offenders would be too painful for victims’ families. The case comes in the wake of a ruling by the U.S. Supreme Court in June determining that mandatory life sentences without the possibility of parole for minors constituted cruel and unusual punishment. 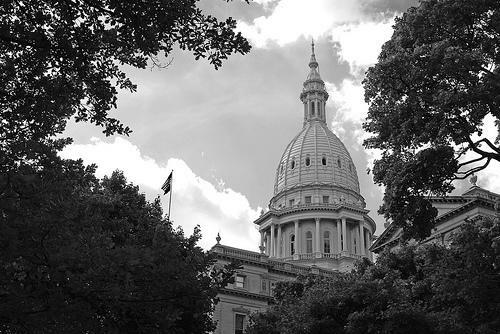 Every Wednesday Michigan Radio's Morning Edition host Christina Shockley and Michigan Radio's political analyst Jack Lessenberry talk about what's been going on in the news when it comes to Michigan politics. This week they talked about a Michigan family's request to release a Marine Veteran imprisoned in Iran in order to see his ailing father in Flint, where the state's incarceration system stands when it comes to inmates releases in Genesse County and Attorney General Bill Schuette's stance on juvenile lifers, and the Kwame Kilpatrick trial. "State Attorney General Bill Schuette has not given up on trying to keep so-called juvenile lifers behind bars. Next week, he plans to file to join a case before the state Court of Appeals involving a 21-year-old man convicted in 2006 of assisting a murder. The US Supreme Court in June struck down mandatory life sentences without parole for juveniles as unconstitutional. Schuette spokeswoman Joy Yearout says the attorney general believes the ruling should not apply to people who are already serving sentences. The ACLU of Michigan says the state cannot continue to keep people in jail without a new hearing if the US Supreme Court says the sentence is cruel and unusual. 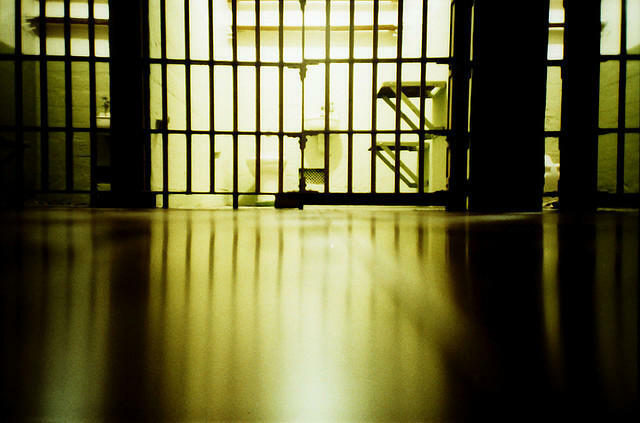 Michigan has more than 360 people serving mandatory life sentences for crimes committed when they were under the age of 18," Jake Neher reports. "The family of a Marine veteran imprisoned in Iran for more than a year, says time is running out for the family to reunite. The Marine's father, a professor at Mott Community College, has been diagnosed with an aggressive brain tumor. Amir Hekmati is still being held in Iran on charges of spying for the United States. Both his family and the US government say he is not a spy. But their pleas for his release haven't worked - although his death sentence was overturned by an Iranian court. The family is pleading for their son's release while Amir's father is still alive. The Hekmatis are holding a candlelight vigil in Flint today. They hope their case will be discussed with Iranian President Mahmoud Ahmadinejad while he's in New York this week for a meeting at the UN," Kate Wells reports. "Wind speed in the middle of Lake Michigan appears to be some of the best in the state for developing wind energy. That’s according to preliminary data from a high-tech research buoy that’s been anchored there all summer. Early data show the average offshore wind speed is at least 22 miles an hour. Wind farms have been built on land in Michigan where wind speeds average around 17 miles an hour. The research buoy will continue collecting data through December. Ultimately it could determine whether an offshore wind farm is viable in Lake Michigan," Lindsey Smith reports. State Attorney General Bill Schuette has not given up on trying to keep juvenile lifers behind bars. Next week, he plans to file to join a case before the state Court of Appeals involving a 21-year-old man convicted in 2006 of assisting a murder. 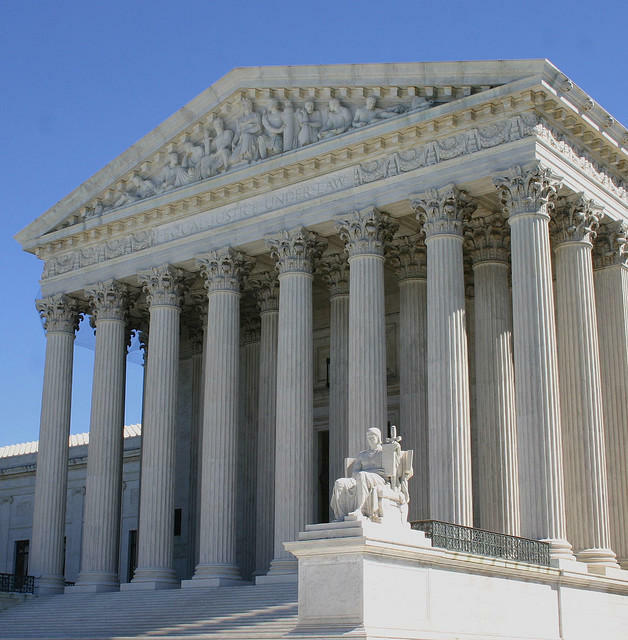 The U.S. Supreme Court in June struck down mandatory life sentences without parole for juveniles as unconstitutional. Schuette spokeswoman Joy Yearout says the attorney general believes the ruling should not apply to people who are already serving sentences. "For many of these cases it's been years, decades even, since the crime occurred. And these victims’ families thought they had a sense of closure. This could result in them having to be hauled back into court, relive the crime, be re-victimized again. And it would really be a mess for our justice system here in Michigan," says Yearout. The ACLU of Michigan says the state cannot continue to keep people in jail without a new hearing if the U.S. Supreme Court says the sentence is cruel and unusual. Michigan has more than 360 people serving mandatory life sentences for crimes committed when they were under the age of 18. 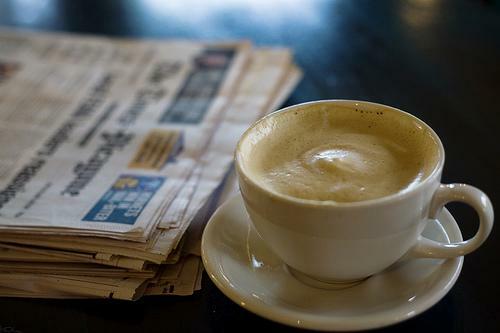 In this morning's state news headlines. . .
Michigan’s Court of Appeals has struck down a city ordinance banning medical marijuana. The Grand Rapids suburb of Wyoming is one of a few local governments that has banned medical marijuana – citing federal drug laws. A Wyoming resident and medical marijuana patient sued the city. Yesterday the Court of Appeals ruled cities cannot ban medical marijuana because state law allows it. The judges say any prosecution under federal laws would be up to the federal government, not local governments. 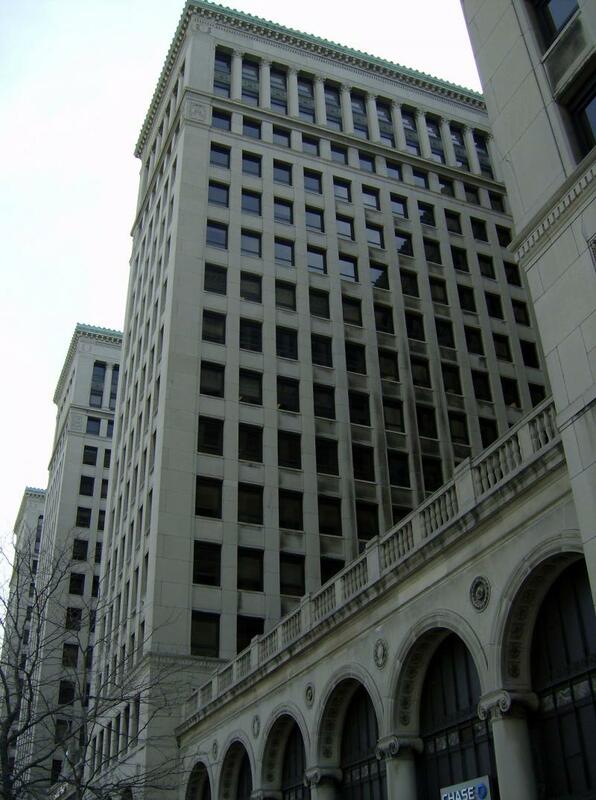 A similar case against the City of Birmingham in metro Detroit is pending. Scientists have begun searching two of western Lake Erie's bays and tributary rivers for signs of dreaded Asian carp. Officials announced last month that DNA from bighead and silver carp had been detected in Lake Erie water samples taken a year ago. They said the six positive hits among more than 400 samples they examined didn't necessarily mean the invasive fish have established a population in the lake. Natural resource departments in Michigan and Ohio are teaming with the U.S. Fish and Wildlife Service to take a closer look. Crews are collecting water this week in the Sandusky River and Bay and the Maumee River and Bay, in the same areas where the positive samples were taken in 2011. Next week, they will use electroshocking and netting to catch fish. Michigan Attorney General Bill Schuette says hundreds of juveniles sentenced to life without parole for murder or complicity in a murder should not get re-sentencing hearings. Schuette says a U-S Supreme Court ruling that struck down Michigan’s mandatory life without parole law for juveniles should only apply to future cases. He has asked the state Supreme Court to limit the scope of the federal decision. Deborah LaBelle is an attorney with the American Civil Liberties Union. She says if Schuette prevails, the effect would be catastrophic on people sent to prison as juveniles who were not given a fair shake by the system. Schuette says it’s not fair that murder victims’ families would have to return to court for re-sentencing hearings after they were assured their cases were over.